Here is the work for Session 9. 3. Teacher Experiences - taking into account our own experiences. We are beginning our work in applying Understanding by Design framework. 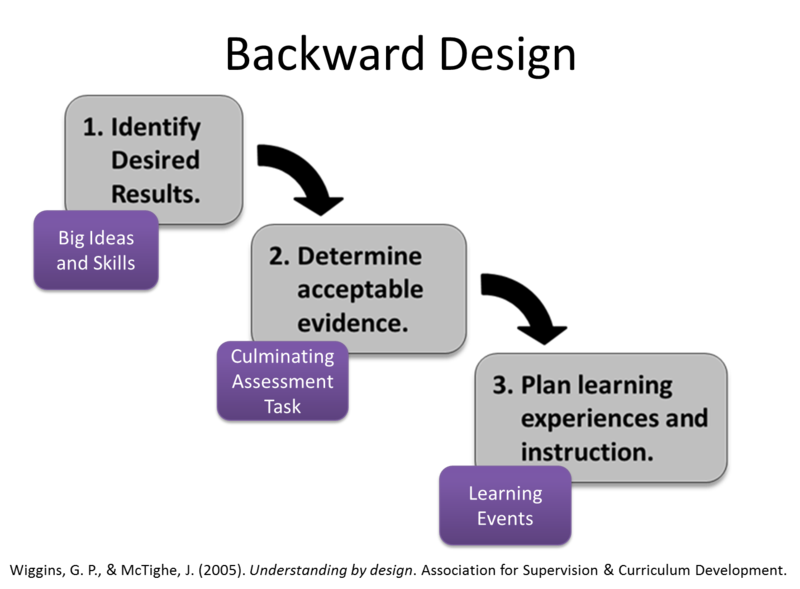 If you remember our earlier discussion about UbD (as it is abbreviated), we said that it is a framework for planning that starts by establishing what's most important (see the diagram above). At the heart of this work is the creating of Big Ideas and Essential Questions. Big Ideas are also called Enduring Understandings, are what you consider to be fundamental to the area you are planning. To support you/refresh your memory, here are the Big Ideas you created for the areas about which you were passionate. Take the content area/course you have been working with over the past two sessions and create 2-3 Essential Questions and 2-3 Big Ideas. You can refer to the McTighe and Wiggins book, chapter 5. Come into class on Thursday having reviewed the work of your classmates.